Most of us discard cassette tapes when we are through with them, but not all, there are always exceptions. 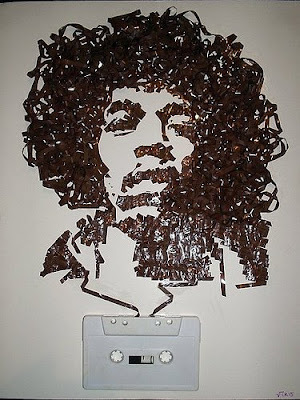 And here the exception is artist iri5, who turns them into work of art. 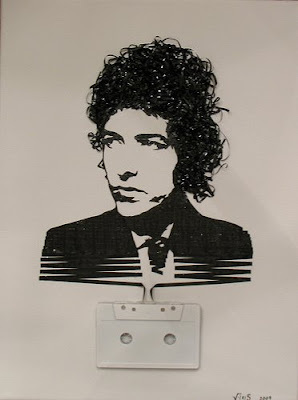 She has created portraits of well-known musicians such as Jimi Hendrix, Jim Morrison and Ian Brown, … from old cassette tapes. She specializes in using media such as old books, cassettes, magazines, credit cards and many more or whatever she can find. She prefers to work with unusual things, older material or 'things that have a mind of their own'. Wow! 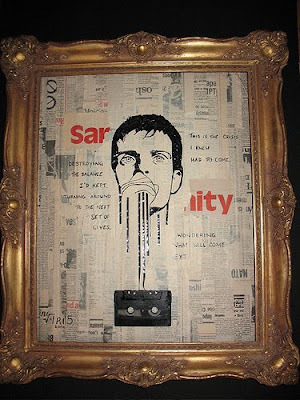 Perhaps this explains how one can connect music with visual art by using a simple medium like an old cassette tape. 40 Cool and Creative Rings. 36 Creative and Cool Home Theater Designs. Green Walls, Vertical Gardens, and Sky Farms. Creative and Cool Ice Cube Trays. 20 Creative Ties and Unusual Necktie Designs.